The 1960 Summer Olympics, officially known as the Games of the XVII Olympiad, was an international multi-sport event that was held from August 25 to September 11, 1960, in Rome, Italy. 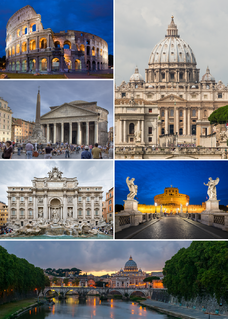 The city of Rome had previously been awarded the administration of the 1908 Summer Olympics, but following the eruption of Mount Vesuvius in 1906, Rome had no choice but to decline and pass the honour to London. Dressage is a highly skilled form of riding performed in exhibition and competition, as well as an "art" sometimes pursued solely for the sake of mastery. As an equestrian sport defined by the International Equestrian Federation, dressage is "the highest expression of horse training" where "horse and rider are expected to perform from memory a series of predetermined movements." There were two separate jumping competitions for individual and team medals, the first time this had occurred since 1920. 69 riders from 23 countries competed, and more than half of the riders had faults at either the 5 meter water jump or the triple combination, which had very odd distances. 9 of the 18 teams did not finish the first round. Although they were considered eliminated under Olympic rules, the Technical Delegate chose to implement a rule allowing eliminated riders to continue with a score that was equal to the worst non-eliminated rider, plus 20 additional penalties. This allowed all 18 teams to jump in the second round. The individual medals were fought out between the two d’lnzeo brothers, Raimondo and Piero, David Broome, and Argentinean Naldo Dasso. The first round saw Raimondo d’lnzeo and Posillipo with the single clear, followed by Naldo Dasso with 4 penalties, and Piero d’lnzeo and his mount Max Fresson with eight. David Broome (7 penalties) had the best ride of the second round, while Piero d’lnzeo and Hans-Günter Winkler each had 8 faults, and the leader, Raimondo d’lnzeo had 3 rails down for 12 faults. Raimondo d’lnzeo's final score of 12 was still enough to win the gold, followed by his brother Piero and David Broome. The 1952 Olympics created some serious changes for the dressage competition at the 1960 Games. The previous Games had resulted in a serious judging scandal after the German and Swedish judges favored their own countrymen. These two judges were subsequently suspended by the FEI. Following this controversy, the IOC threatened to remove dressage from the Olympics, but the FEI managed to come to a compromise, removing the team competition from the 1960 Games and only allowing individual competitors (up to 2 per country). Additionally, 3 of the judges had to be from non-participating countries, and ride-offs were filmed and reviewed for a day before the final results were announced publicly. The other major change was in the scoring scale, which moved from a scale of 0–6 to 0–10. 17 riders competed, from 10 nations. Despite the small number of riders, the competition still took a long time as the judges, conscious of not playing favoritism, conferred for up to 20 minutes following each ride. 5 riders total qualified for the ride-off (2 from the Soviet Union, and 1 each from Switzerland, Germany, and Sweden), and repeated the original test. The ride-off was filmed and reviewed, the judging panel decided not to change the original placings, and the results were announced to the public 3 days following the ride. For the first time since 1924, the eventing team consisted of 4 riders rather than 3. Although 19 nations, with a total of 79 riders, competed, the eventing competition at the 1960 Olympics clearly went to the Australians. The team had fantastic performances cross-country, with three of the four riders (Lawrence "Laurie" Morgan, Neale Lavis, and Brian Crago) in the top three spots of the competition following endurance day. Bill Roycroft, the fourth Australian team member, had fallen on cement drain pipes, resulting in a concussion and broken collar bone. Unfortunately, Brian Crago's mount Sabre was rejected at the final horse inspection, removing him from his current silver-medal position. In order to insure his team finished, Roycroft left the hospital to ride in the final phase, posting a clear round and insuring a team gold for his country. Equestrian at the 1980 Summer Olympics was represented by six events. All of them, with the exception of the Individual Jumping Grand Prix, were held in the Trade Unions' Equestrian Complex, which is situated in the Bitsa Forest Park. Individual Jumping Grand Prix was held in the Grand Arena of the Central Lenin Stadium at Luzhniki. The equestrian program at the 1912 Summer Olympics in Stockholm, included five medal events. There were individual competitions in dressage, eventing, and show jumping. Team scores were also gathered and medals awarded for teams in the eventing and jumping competitions. Equestrian had been absent from the Olympic program since the 1900 Summer Olympics, making the 1912 Games the second time the sport was featured. Ten nations competed: Belgium, Chile, Denmark, France, Germany, Great Britain, Norway, Russia, Sweden, and the USA. Only Sweden and Germany were able to supply a full team for all three disciplines, with several countries having several riders and horses used in two or even all three disciplines. A total of 88 entries ran in the three events, with 62 riders and 70 horses. The equestrian events at the 1920 Summer Olympics in Antwerp included eventing, show jumping, vaulting and dressage. The competitions were held from 6 to 12 September 1920. Although there were 72 riders competing, many rode in more than one event, with 87 entries total. Vaulting was also held, its one appearance at an Olympic Games, with only Belgium, France and Sweden fielding teams. The equestrian events at the 1924 Paris Olympics included eventing, show jumping and dressage. Vaulting was not included this year. The competitions were held from 21 to 27 July 1924. 17 nations fielded teams: Austria, Belgium, Bulgaria, Czechoslovakia, Denmark, Finland, France, Great Britain, Italy, the Netherlands, Poland, Portugal, Spain, Sweden, Switzerland, USA, and Yugoslavia, with Germany not being invited. Of those 17 countries, only 5 fielded teams in all 3 disciplines: France, Sweden, Belgium, Switzerland and Czechoslovakia. A total of 111 entries and 126 horses competed. Horses in both the jumping and eventing competitions were required to carry at least 75 kilograms (165 lb). The equestrian events at the 1928 Summer Olympics included dressage, eventing, and show jumping. All three disciplines had both individual and team competitions. The competitions were held from 8 to 12 August 1928. Teams were now fielded by three riders, rather than four, the purpose being to reduce pressure on national federations to find that many riders in order to compete for team medals. Riders had to be considered amateurs, which was defined as either an actively serving professional officer, or as a gentleman rider as defined by the rules of that rider's national governing body. A total of 121 entries were present from 20 nations: Argentina, Austria, Belgium, Bulgaria, Czechoslovakia, Denmark, Finland, France, Germany, Hungary, Italy, Japan, the Netherlands, Norway, Poland, Portugal, Spain, Sweden, Switzerland, and the USA. This was the first appearance for Hungary, Japan and Argentina in equestrian events at an Olympics. Additionally, after being shut out from two Olympic competitions, Germany also returned to the Games to win a few medals in the equestrian events. The equestrian events at the 1976 Summer Olympics in Montreal included show jumping, dressage and eventing. All three disciplines, except for the Nations Cup, were held at the equestrian stadium in Bromont, which had a capacity of 15,000 spectators, and the cross-country and steeplechase were also nearby. Building this stadium provided some headache for the Organizing Committee after the original estimate of 1 million Canadian dollars increased to CAD 4,425. The equestrian events at the 1948 London Summer Olympics included dressage, eventing, and show jumping. All three disciplines had both individual and team competitions. The competitions were held from 9 to 14 August 1948, with the first five days held in the military complex at Aldershot, the endurance day on the army grounds of Aldershot at Tweseldown, and the jumping at the Empire Stadium in Wembley. World War II resulted in a greatly reduced number of competitors, including the absence of Germany, although Brazil made its first appearance in the equestrian events. 108 entries from 17 nations competed. The youngest participant was Aëcio Coelho from Brazil at 23 years old, while the oldest rider was the Italian Alessandro, Count Bettoni Cazzago, at 55 years old. The equestrian events at the 1952 Helsinki Summer Olympics included dressage, eventing, and show jumping. All three disciplines had both individual and team competitions. The competitions were held from 28 July to 3 August 1952. The equestrian events at the 1956 Summer Olympics were held in Stockholm due to the Australian quarantine regulations and included dressage, eventing, and show jumping. All three disciplines had both individual and team competitions. The competitions were held from 11 to 17 June 1956 at Stockholm Olympic Stadium. There were 159 entries from 29 countries: Argentina, Australia, Austria, Belgium, Brazil, Bulgaria, Cambodia, Canada, Denmark, Egypt, Finland, France, Federal Republic of Germany, Great Britain, Hungary, Ireland, Italy, Japan, Netherlands, Norway, Portugal, Romania, Soviet Union, Spain, Sweden, Switzerland, Turkey, USA and Venezuela. This would be the first appearance for Australia, Cambodia and Venezuela in equestrian events. The equestrian events at the 1972 Summer Olympics in Munich included show jumping, dressage and eventing. All three disciplines had both individual and team competitions. The equestrian competitions were held at 3 sites: an existing equestrian facility at Riem for the individual show jumping and eventing competitions, the Olympic Stadium in Munich for the Nations Cup, and Nymphenburg, a Baroque palace garden, for the sold-out dressage. 180 entries, including 31 women, competed from 27 countries: Argentina, Australia, Austria, Belgium, Bolivia, Bulgaria, Brazil, Canada, Chile, Denmark, German Democratic Republic (GDR), France, Federal Republic of Germany (FRG), Great Britain, Hungary, Ireland, Italy, Japan, Mexico, the Netherlands, Poland, Portugal, Soviet Union, Spain, Sweden, Switzerland, and the USA. The youngest participant was Kurt Maeder from Switzerland at 19 years old, while the oldest rider was Lorna Johnstone from Great Britain at 70 years old. The equestrian events at the 1964 Summer Olympics in Tokyo included show jumping, dressage and eventing. All three disciplines had both individual and team competitions. The competitions were held from 16 to 24 October 1964. These events took place at Karuizawa, which would become the first city to host Summer and Winter Olympic event when it hosted the curling events for the 1998 Winter Olympics in Nagano. Equestrianism made its Summer Olympics debut at the 1900 Summer Olympics in Paris, France. It disappeared until 1912, but has appeared at every Summer Olympic Games since. The current Olympic equestrian disciplines are Dressage, Eventing, and Jumping. In each discipline, both individual and team medals are awarded. Women and men compete together on equal terms. Raimondo D'Inzeo was an Italian show jumping rider, an Olympic champion and double world champion. Together with his elder brother Piero D'Inzeo, he was the first athlete to compete in eight consecutive Olympic games, in 1948–1976. At the Rome Olympics in 1960 Raimondo won the gold medal and Piero won the silver in show jumping. Colonel Piero D'Inzeo was an Italian show jumping rider, winner of six medals at the Olympic Games, and an officer in the Italian cavalry. He was born in Rome. The equestrian events at the 2012 Olympic Games in London were held between 28 July and 9 August at Greenwich Park. Medals were awarded in three disciplines for both individual and team competitions. The individual eventing event, part of the equestrian program at the 2000 Summer Olympics, was held from 20 to 22 September 2000 in the Sydney International Equestrian Centre. Like all other equestrian events, the eventing competition was mixed gender, with both male and female athletes competing in the same division. The equestrian events at the 2016 Summer Olympics in Rio de Janeiro were held between 6 and 19 August at National Equestrian Center in Deodoro. Medals were awarded in three disciplines for both individual and team competitions. The individual eventing event, part of the equestrian program at the 1996 Summer Olympics, was held from 23 to 26 July 1996 in the Georgia International Horse Park, in Conyers, Georgia. Like all other equestrian events, the eventing competition was mixed gender, with both male and female athletes competing in the same division. The individual eventing in equestrian at the 1932 Summer Olympics in Los Angeles was held at the Riviera Country Club (dressage), a specially built course in Westchester (cross-country), and the Olympic Stadium (jumping) from 10 to 13 August. NOCs were limited to three horse and rider pairs. The team eventing in equestrian at the 1932 Summer Olympics in Los Angeles was held at the Riviera Country Club (dressage), a specially built course in Westchester (cross-country), and the Olympic Stadium (jumping) from 10 to 13 August. NOCs were limited to three horse and rider pairs.